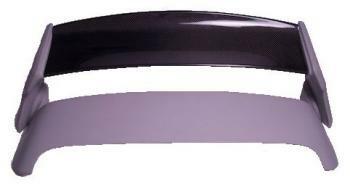 BlackTop Aero Rear Spoiler - Dezod Motorsports Inc - Home of the automotive performance enthusiast since 2002. BlackTop Aero ’s newly designed wings generate downforce as air passes around them. By reducing lift and increasing downforce, BlackTop Aero ’s wings will allow you to gain extra traction during high speed cornering. BlackTop Aero ’s innovative designs help improve high speed stability while adding an aggressive and functional appearance to your car.